Did you know? Zealand Shores is an agent for a diverse array of Education Providers. Let’s take a look at a popular option: WITT’s Graduate Diploma in Operations & Production Management. 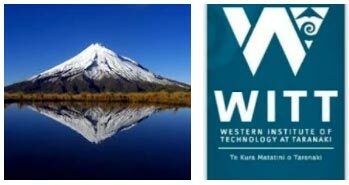 The Western Institute of Technology at Taranaki, based in New Plymouth, is offering an October 2017 intake for 1 year the Graduate Diploma in Project Management AND the Graduate Diploma in Operations & Production Management, with a special international tuition fee of $12,000 – reduced from the original cost of $17,240. This affordable option will no doubt prove popular with overseas students, so get in touch now by taking filling in the questionnaire below if you are interested. At this stage the ‘special’ fee is just applicable to the October intake, however, it’s likely that it may be extended into 2018. This one year level 7 qualification features a 17 week industry internship – students get the opportunity to work with a Taranaki employer and make valuable industry connections. Taranaki is considered by many travel guides like the “hidden gem” of New Zealand and the WITT’s high profile options will no doubt help you further your studies to become highly employable on the global stage.